JANM Members: Win a chance to participate in a Tea Ceremony! 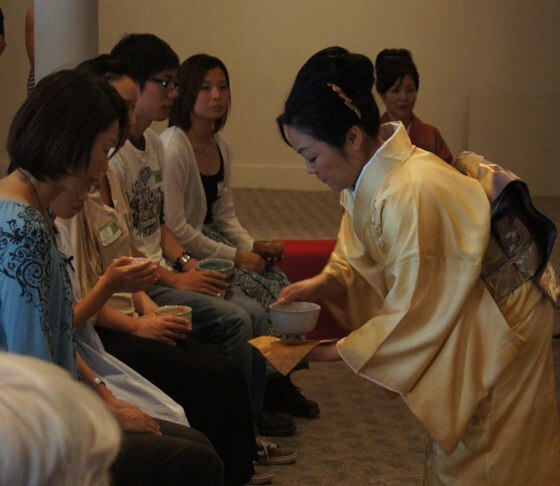 Be one of the first five Museum members to email us and win the opportunity to participate in our upcoming program, Japanese Tea Ceremony: Sado on Saturday, February 22, 2014! Winners will be part of the tea ceremony demonstration in front of an audience and will be served tea and snacks by the ceremony officiators. To enter, send an email to membership@janm.org with the subject: “Tea Ceremony” and include your name and membership number. Winners will receive a confirmation from the Museum, along with instructions for the day. One entry per membership #. Must be a current member to participate. Click here for the program listing: website. The tea ceremony will take place at 2pm in the National Center for the Preservation of Democracy (glass building across the courtyard from the main building). Please arrive early for good seating. Please call the Museum at 213.625.0414 to RSVP. The program is free with Museum admission (free for Museum members!). Make sure to get your admission sticker at the Museum front desk before arriving at the program site.